In the Bible we learn that preaching is not the only way God’s Word is communicated. In the Old Testament, the Levites are seen explaining the Law to the people of Israel (Nehemiah 8:7–8). And in the New Testament, Paul says of his ministry, “I did not shrink from declaring to you anything that was profitable, and teaching you in public and from house to house” (Acts 20:20). In both of these contexts, teaching occurred in small groups, where God’s teachers could answers questions, give the sense of the word (Nehemiah 8:8), and lead discussions about applying the Law to life (see Ezra’s approach in Nehemiah 8:10). Today, teachers of the Word are called to do the same, and experienced teachers will master the art and science of leading discussion that is fundamentally different than just declaring what Scripture says. To lead this kind of dialogue profitably is challenging and takes time—a lifetime even—to master, but it is invaluable for helping disciples of Christ learn to read Scripture, ask questions, think with others, and apply truth to life. And in what follows, I want to suggest ten principles for leading a good discussion. Four of them simply relate to question-asking; the other have to do with developing a conviction for the value of discussion and the need to change your preparation habits for leading discussion, as opposed to preaching. What hath Athens to do with Jerusalem? This is Tertullian’s famous question contrasting the difference between divine truth and man-made philosophy. And it highlights the challenge of living in this world with our eyes fixed upon another. In a similar fashion, we might ask the same question about our rewards: What hath dollars to do with eternal destinies? Indeed, in a world where money motivates, secures, comforts, and corrupts, we are painfully aware of the problems that money (and its lack) bring. Yet, as Jesus instructs us in Matthew 6:19–24, our earthly riches also provide an important avenue for discipleship and increasing our eternal joy. The question is how! With that in mind, Sunday’s sermon considered Jesus’s teaching about earthly and heavenly reward. You can listen to that sermon online. Discussion questions and additional resources can be found below. Over the summer, our church considered many of the things Jesus said about money. In a Sunday School series following Randy Alcorn’s The Treasure Principle, we learned much about how to invest our lives in things eternal. This Sunday, in our Sermon on the Mount series, we will again look at Jesus’s words about storing up treasure in heaven and not on earth. Reflecting on this passage, I am reminded of an article I read more than 15 years ago on the subject of money and how it can be and should be “converted.” “Transmuted,” not converted, is actually the word R.A. Torrey used in his article, “Our Lord’s Teaching about Money,” but converting earthly riches into heavenly gain is the idea. This article is actually more than 100-years old now, included in the historic 12-volume set The Fundamentals, but the truths contained therein are just as relevant today as they were in 1909. Indeed, God’s truth is eternal and his principles about all of life, including money, are evergreen. Yet, the point about converting currency into earthly treasure is one I haven’t heard often, thus I share Torrey’s point here. If you have read the Bible, you’ve probably come across it. It’s mentioned about 75 times. Maybe you’ve even tried to it. But what is it? Some testify to the miraculous results of this ancient practice. Others just skip over it, an impossible practice that is for “major league” Christians. And still others may be confused by the whole thing, or practice it for the wrong reason(s). In Matthew 6:16–18, fasting for the wrong reason is what Jesus is targeting. Still, his words are not just relevant for his first century context; they also teach us important truths about denying ourselves and seeking God’s reward. The truth is, everyone fasts every week, but I suspect most of us don’t think of it as fasting. Yet, how we deny ourselves and indulge ourselves is one of the most important things about who we are and who we are becoming. This Sunday our church comes to Jesus’s words about fasting in Matthew 16:16–18. In preparation, I have read many commentaries and articles on the subject, but one question lingers: How does the new covenant impact fasting? In his immensely helpful chapter on fasting, Donald Whitney identifies fasting as numerically greater than baptism—77 uses of fasting in the Bible, compared to 75 uses of baptism. Yet, does that mean fasting is equally important for the new covenant Christian? In the middle of the Sermon on the Mount, Jesus gives instructions about giving (vv. 2–4), praying (vv. 5–15), and fasting (vv. 16–18). In our church we have taken one sermon per “spiritual discipline,” but really in the structure of Matthew’s Gospel, we should read these three disciplines together. And in fact, when we do there are some observations we discover that we might not find on our own. So here are nine observations about Matthew 6:1–18 and Jesus’s instructions about these critical elements of worship, discipleship, and spiritual communion with God. 1. Giving, praying, and fasting make up the center of the Sermon. In other words, the shape observed in the image above continues right to the summit of the mountain, where we discover that prayer in the presence of our heavenly father is the goal of the Law (5:17–48) and the Prophets (6:19–7:11), as well asthe center of Jesus teaching about discipleship (6:1–18). Discipling: How to Help Others Follow Jesus by Mark Dever is one of the most practical books on discipling I’ve read on the subject. 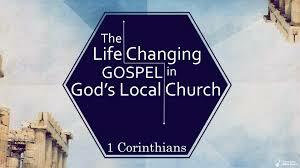 And the reason why it is so practical is its unrelenting focus on the local church. While many books on discipleship talk about how Jesus discipled others, or how we can make disciples, Discipling sets discipleship in the context of the local church. More than how-to book for individuals, it persuasively argues that the church is theplace for discipleship. In fact, only as churches disciple will they grow in vitality. And only as discipling takes place in the church will disciples grow in the place designed by the Lord. How Should I Give a Testimony? Let’s say you are called upon to share with a small group or a large congregation the recent happenings at Vacation Bible School, a missions trip, or some other event at school, church, or elsewhere. How will you do it? What priorities will inform your 60 seconds or 6 minutes? In college, Campus Crusade for Christ (Cru) taught me three (maybe four) “rules” for giving a testimony. I share them here for anyone who may be called to give a testimony, plus a couple others. For the sake of memory, they follow the first six letters of the alphabet. You can’t bear witness to God’s goodness, if you can’t be heard. Therefore, be sure to speak clearly. Of course, this may mean making sure the microphone is on, but more importantly, it means knowing what you will say before you say it.